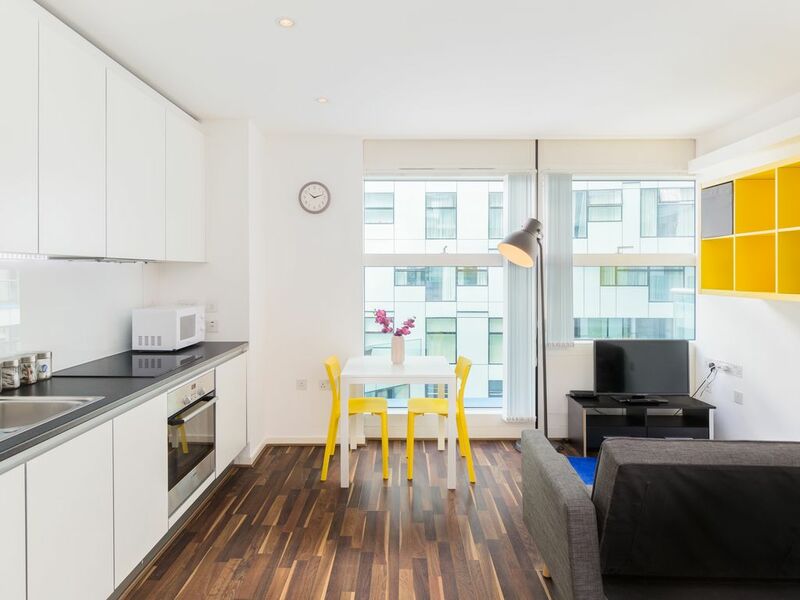 Tastefully decorated modern studio apartment located on 17th floor of the Cube in Birmingham City Centre. Apartment is a good sized studio with its own fully equipped kitchen and fully furnished for your comfort. Netflix and super fast WiFi is also provided and a complimentary drink is served upon key collection. Enjoy a variety of activities and the best restaurants in town at your doorstep! The Cube is also joined to the very prestigious Mailbox and is one of the best locations in Birmingham to stay. New Street Station is a 7-8 minute walk and Bullring is 10 minutes away.